What a great book title! Die Empty is a powerful call to arms in only two words. It’s a powerful declaration of your intent to live life in a particular way. I love this manifesto and it’s direct call to action. 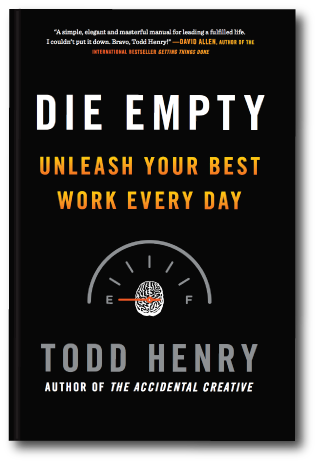 I’ve written the chapter headings of Todd Henry’s book Die Empty as a 10-point list manifesto.